Starring Rhys Ifans/Edward de Vere, Vanessa Redgrave/ Elizabeth I, Joely Richardson/Princess Elizabeth, David Thewlis/William Cecil, Sebastian Amesto/Ben Jonson), Rafe Spall/William Shakespeare, Edward Hogg/Robert Cecil, Sam Reid/Essex, Sir Derek Jacobi/Narrator. It’s a time-honored tradition that once an author (or any famous personality) passes, historians and other assorted biographers begin the process of deconstructing their life and work, in the hopes of passing down insights into the creative spirit that promises to transcend time and continue to live forever. That William Shakespeare is considered the most famous writer humanity has yet to produce pretty much goes without saying, but the world has spent over 300 years repeating it to millions of people. Thousands of books have been written about the man from Stratford-on-Avon: His works are taught in literature classes in most schools, colleges and universities. His plays are performed every day of the year in countless languages. Films and other forms of popular culture bring Shakespeare’s portfolio into our very homes for our own personal delight. 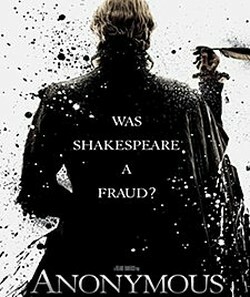 Yet, Oscar-nominated 2011 film, Anonymous, asks us a simple question – Who was William Shakespeare – and in knowing the sketchy facts about “The most profound playwright of our time” – did he actually produce this impressive body of work? And, if he didn’t, then pray - who did? This political drama begins in modern times, with esteemed Shakespearean Actor, Derek Jacobi, posing this question onstage. He reminds us – the modern audience - that “no single manuscript was in his own hand” and that “no mention of a single manuscript is mentioned in his will”. 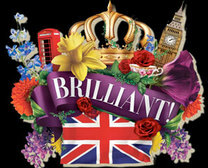 As we are now hooked, the story unfolds with a dazzling array of characters – Ben Johnson, Christopher Marlowe, “Will Shakespeare”, Queen Elizabeth I, the Queen’s Secretary Cecil, Lord Essex, and the 17th Earl of Oxford, Edward de Vere. The film is based on the premise – first proposed in the 1850s, that William Shakespeare was not the author of such literary masterpieces as Hamlet and Macbeth, but that they were lovingly crafted by Earl de Vere himself. This gave rise to what is now known as the Oxford theory, and since then, many literary scholars, writers, and well-known personalities – Mark Twain and Sigmund Freud among them – have become 'Friends of Edward'. Because the genius of these works overshadows the man, history has glossed over – so the story goes – a few basic facts about our boy Will. ​Rhys Ifan, in the title role of Edward de Vere, gives a praise-worthy performance of a man trapped in an artificial life as courtier and husband, who simply lives to write poetry and plays that he publishes anonymously. The Lord of Oxford, as a member of the Queen’s court and according to the customs of the Elizabethan times, could not publish a book of poetry or a play for the common public. So he took cover under the popular practice of using a pseudonym – in this case, “anonymous”. Director Roland Emmerich’s film enthusiastically embraces the Oxfordian theory, at the expense of a coherent plot. 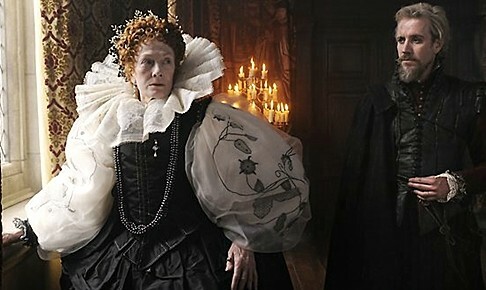 Cast and characters collide with a story line that tests even the mettle of die-hard Elizabethan devotees like myself. Audiences are expected to swallow that good Queen Bess gave birth to several children (!) and was de Vere’s lover, and that de Vere employed Ben Jonson to take public credit, who then told minor-league actor Will Shakespeare, who then brazenly took full accolades. If only John Orloff’s screenplay had stuck to historical fact and employed less flashbacks, Anonymous would be a much stronger film. However, Anna Foerster’s cinematography is stunning and Lisy Christl’s breath-taking costumes dazzle us into submission – until the final credits roll, that is.